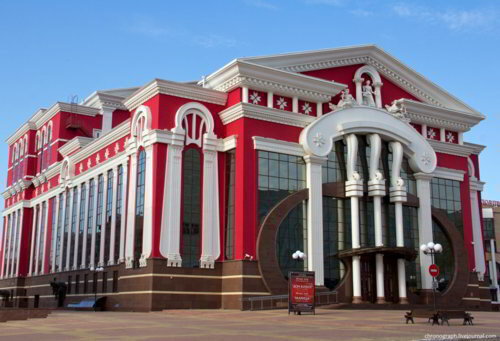 Saransk is beloved by a group of tourists who travel through the cities and towns in the country. Despite its relatively small size with a population of just over 300 thousand people, there are plenty of things to see and attractions that may be adored by many. It is located alongside river Insar on its both sides. The dam is represented by beautiful parks and walking sides as well as the town major cathedral is not too far away from there. 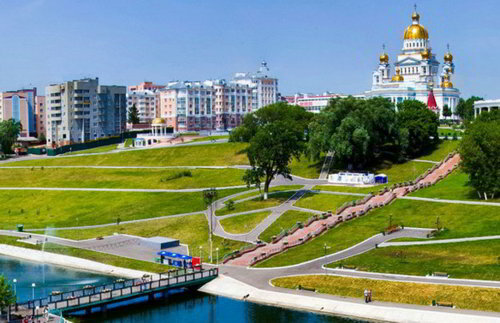 Thousands of tourists groups from many different countries have already planned their trip to Saransk, and some are still intending to do it. Whether it is a private group trip or an organized by a professional travel agent, our company can provide you with a well-presented range of coaches to rent. The customers who will turn to our services will undoubtedly receive great benefits and mainly enjoy our hospitality! 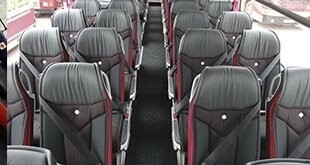 The company has been offering coach rental services for some years. During this time thousands of happy groups of visitors have enjoyed our facilities and had a great time by using transport that we provide. Over the course of the time that we have been providing our services, well-established relationship with financial institutions and authorized dealers have been a complementary factor in getting any amount high-quality coaches at any time we need. It means that during the busy time of forthcoming summer at 2018 World Cup we will be able to cope with demands and provide almost every group with good quality transport. The coaches on offer are made by popular manufactures of very trustful and respectful brands such as Volvo, Scania, MAN, Van Hool, Iveco, and the others. 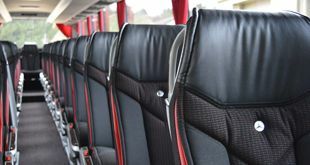 These coaches comply with European safety regulations and have all the modern features to make any journey as comfortable as possibly could be. There is everything on board including bio-toilets, a station for making hot drinks, plasma displays, stereo and DVD and digital systems, etc. new coaches have the most advanced technologies that will enable its owners to provide the most comfortable and smoothest drive possible. Drivers are also exceptional professionals who have been doing this job for years. They know the routes of the town and its roads very well so that the time of travel will always be at its minimum. The drivers will help you with luggage handling at any time and particularly during the transfers from arrival to departures. They can keep up with conversations in English and a few other languages hence you can always ask them where to go nearby, where to buy souvenirs or where to buy good quality fast food. The coach will meet you right at the airport or a train station at the time of your group arrival. If the group comes in several parts, then the coach will make several trips to pick up everyone and take every individual to a hotel. The same applies to the departure. The group members may have different programs during the tournament and may depart to the other cities at different times by airplane or a train whereas some may choose to travel by the river on a cruise ship. Every person’s departure will be penned down, and we will make sure they arrive at the place of departure on time. The time during the World Cup and the forthcoming months promises to be extremely busy. So, to make sure your group gets the allocation slot for sure and you have the time for visa arrangements left, please place your order for coach rental as early as possible. That will give us plenty of opportunities to provide you with total peace of mind the best service for the clients. You either can write to us or specify your need over the phone. Please, be ready to tell on which dates the rental will be needed and the size of your group. Tell us what services you want to be included and what else you would prefer us to do for you!